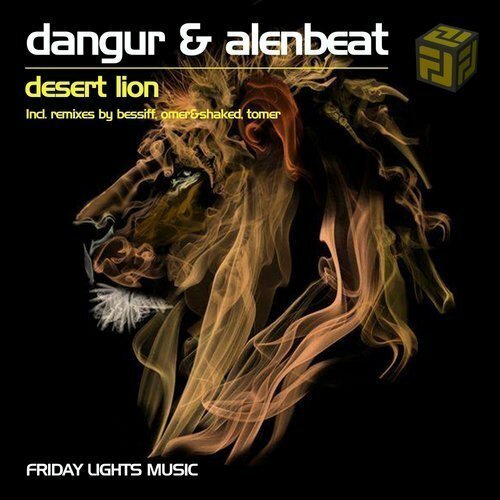 Friday Lights Music are glad to welcome DANGUR and ALENBEAT to our label with their new highlight creation – Desert Lion. Those kinds of tracks that are so rich with the story behind them, with sounds and styles and still stay relevant for the busy dancefloor hours. Supported by remixes from Bessiff, Omer & Shaked and Tomer to complete different visions on this desert king of animals. The original mix is a track that catching you from the start. What is really impressing here is the sound – it is so clear! Make no mistake here – 2 experienced sound engineers (Itay Dangur and Ofir Dahbash) wrote this original. Dangur is an old veteran in the scene – Toolroom, Be As One are just few labels that he worked with. Alenbeat is the new talent on the techno block with releases on Proton Music and ADRO . He already had an experience to perform such an epic event like DOOF festival! Those guys know what they are doing and results are as expected. The bass and kick are really big here and they are the ones that help to evolve this track from melodic to techno. The ‘’roars’’ sounds and ‘’sand’’ melodies are super effective to complete a full picture – a huge desert lion king that walks royally through a sand storm and roars at everything. The drop is insane – no other word for it – just listen. A perfect track for us. Bessiff is a talented producer of melodic and neon techno from France. In his version he takes things down a notch pressure wise however the feeling goes all the way up. Bessiff takes all the melodies and giving them his musical and a little minoric interpretation. With a deep bass that follows the harmonies – it is this track that will make you want to hug and connect. Israeli veteran duo Omer & Shaked played everywhere across Israel (which contains a lot of desert). As well they are residents of a Midburn group ‘’Rabbits in the Sand’’ (Burning man extention in Israel) so their connection to DESERT LION track was almost natural. The guys provide us with a solid and to the point remix that do not leave too much space for chilling. The most dancefloor oriented remix here so let’s go dance! Tomer is another Israeli producer that is a real mystery for us. He is producing for many years but it is always some surprising style that you cannot put a tag on. In his remix he is doing it again – going against the flow. He demands the super deep bass to be the melody and the rest will follow it. Deep, interesting and surprising – perfect remix to add another angle to this release.